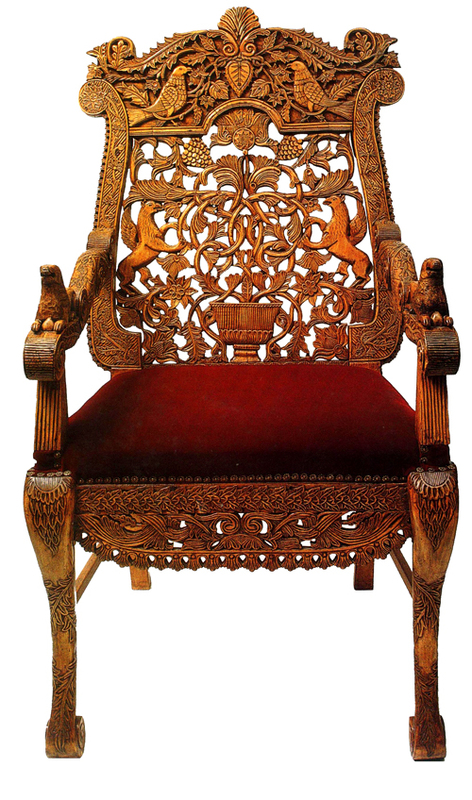 During the Cossack raids against the Jews in the Ukraine in the early 1920s, the chair was dismantled and cut into small pieces by Reb Tzvi Aryeh Lippel. He carried it from Tcherin to Kremenchug, some twenty miles (thirty-two kilometers) distant, running nearly the entire time. The chair was deposited with the Rosenfeld family of Kremenchug. In 1936 Reb Moshe Ber Rosenfeld brought the chair to Jerusalem. In 1959 it was restored by craftsmen from the Israel Museum. In 1984 the chair was again refinished, by Katriel’s of Jerusalem, and placed on display in the Breslov synagogue in the Meah Shearim neighborhood of Jerusalem, where it can be seen today.